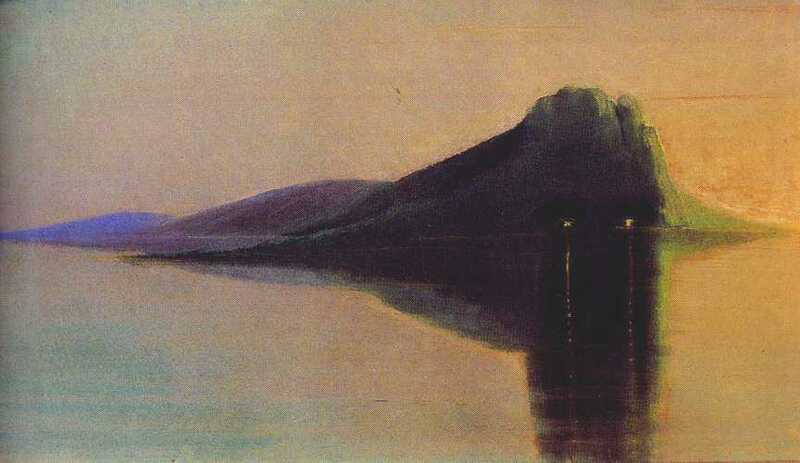 1913 on an expedition through the Arctic ocean a painter N.Pinegin turned his attention to a plateau in the Franz Josef Land archipelago, which resembled M.K.Ciurlionis' painting "Stillness". So he called it the Ciurlionis Mountains. 1925, december 13 the Ciurlionis Gallery was opened in Kaunas by Paulius Galaune efforts. There was also an Ethnography, a History and a Prehistory section. 1936, november 1 the Ciurlionis Gallery was transfered to the Kaunas Historical and Ciurlionis Art Museum. Now it is called the Kaunas Museum of M.K.Ciurlionis Art and only in 1947 (august 31) it was opened for public visitation. Now you can find not only the largest collection of Ciurlionis' paintings there but also folk and professional art of the Lithuanians and other nations. 1940 a Ciurlionis Art Ensemble was founded in Vilnius, formed by about 170 art lovers: choristers, players on the kankles (a Lithuanian string instrument), folk singers and dancers, even writers. The Ensemble gave concerts in Lithuania. Closed in 1944. 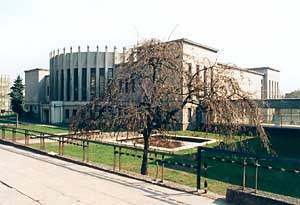 1945 the Vilnius ten-year secondary music school was opened. After several renamings it was finally called the Ciurlionis School of Arts. The pupils of this secondary school participate in international concerts, exhibitions and competitions. 1957 the Lithuanians' community in Chicago established and opened the Ciurlionis Art Gallery, where exhibitions of the creation of Lithuanian painters are held and the works of Lithuanian emigrants are collected. 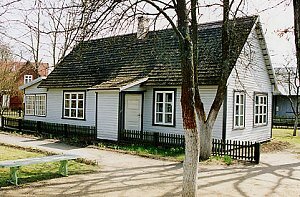 1963 the Ciurlionis Memorial Museum was opened in Druskininkai, in the house where M.K.Ciurlionis and his family lived. 1964 Lithuanian mountaineers, leaded by Romualdas Augunas, were the first to climb one of the peaks of Pamir (5794 m height) in Tadzhikistan, which is now called Ciurlionis mountain. 1965 the first Ciurlionis Competition (only for the young music players) was held. Since then it is organized every several years. Young pianists from Lithuania and neighbouring countries play Ciurlionis' and other composers' compositions. 1968 the students of LSSR Conservatoire formed a string quartet (two violins, a viola and a violoncello), which was named the Ciurlionis quartet in 1977. They played in variuos European countries from Bulgaria to Iceland, and also Canada. In 1990 the quartet was awarded the Lithuanian National Premium. 1975 the Crimean astrophysicist Nikolaj Cernych discovered a new 8 km diameter asteroid and called it the Ciurlionis asteroid. It orbits round the Sun in approximately four years (average distance from the Sun: 384 mln. km). 1975-76 m. on occasion of M.K.Ciurlionis' 100-year birth anniversary, 26 masters of folk art built a range of 22 sculptures and engraved poles in Perloja along the Varena-Druskininkai road. The range was called the "Ciurlionis Road". These sculptures and poles were decorated with Zodiac signs, ethnographical elements, towers, bells and other symbols.